So what does this mean for a Mandarin speaker who wants to learn Cantonese? What about the practical considerations? I've been told the best Cantonese resources are written in Mandarin, so if you can cope, go with those! Olly: Good morning everybody, and welcome back to the I Will Teach You a Language podcast. Thanks for listening, I am really happy you are here, and I hope you have been enjoying the new transcripts as well. They are available on the show notes for each episode. So you go to the blog at www.Iwillteachyoualanguage.com and click on the podcast tab, you will find a list of all the episodes and the transcripts. Full transcripts are there now, every episode starting from episode 162, that was the last episode, so enjoy it. 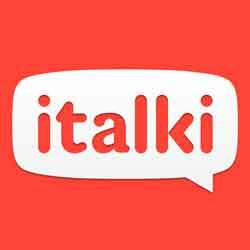 I’d like to thank the sponsors of the show, Italki, and I get all of my language lessons from Italki when I am at home in the UK, and you can get a free lesson by going to www.Iwillteachyoualanguage.com/freelesson. Now, without any further ado, we have got a question today from Chris in China, and I have to apologise in advance because as I recorded this episode my microphone did not work, so we are using the internal speakers on my laptop which are not great, so the sound quality for this episode is not the best I am afraid. Well, what can I say, these things happen, I apologise. If you are interested in the topic, hopefully it is still intelligible. Here’s Chris. Question: Hi Olly, it’s Chris here, long time listener, first time sending in a question. I have been living in China for quite some time now, and I have studied Mandarin up to HSK level 5, but I am finally considering taking the plunge this year and learning Cantonese, and my question is, how would you go about doing this? I already have a pre-existing knowledge of Mandarin, of being able to read Hansa. How would you go about tackling the language, is it simply the case that I have got to learn a whole set of new pronunciations for words that I already know? Are the grammar structures that I have studied in Mandarin, do they have analogies in Cantonese, and again, it is just the simple case of learning new pronunciations for words that I have studied, structures that I have studied? How do I tackle learning pronunciation, is it the case that every phoneme that exists in Mandarin has a direct equivalent in Cantonese, so that once I learn the equivalent of, I don’t know, “should” or “hi”, it’s the same every time it occurs, or is it completely different, and if so, what are the best resources for studying Cantonese? At what stage would I approach a teacher or look for language exchanges? How much can I do off my own back, given that I am an experienced language learner, and I am quite motivated but don’t have loads of time to dedicate to learning it, maybe four or five hours a week? Anyway, let me know what your suggested plan of attack would be, where to start, what timeframe would probably look like for moving through different levels or progressions. I look forward to learning your answer. Cheers, and keep up the great work, thanks. Olly: Hey Chris, thank you very much for a cool question, and it is always fun to hear an accent like yours coming from the south of China. It just makes you realise how much we get around and how small the world is in many ways, so very cool. Me and Chris have been chatting over Facebook, and I very selfishly persuaded him to send this question in to the podcast, so that other people can benefit from his voice, it is really interesting. So Chris, thanks for doing that. Now I am in a way looking forward to answering this, but I am also a bit nervous, because I don’t speak Mandarin, and everybody assumes that I do. A lot of people say hi Olly, how did you learn Mandarin? And so I didn’t, I never learned it, I don’t speak it, I know nothing. So, in a way I am not best placed to answer this question, however, I am obviously very familiar with Cantonese, and I’ve had a lot of very extensive conversations with Mandarin experts who have been through this process, and they have been – they have told me about the main considerations, so although you shouldn’t take anything I am about to say as gospel, hopefully never the less, it is going to be on the money, and it is going to – you have a good idea what to expect, because certain things you just pick up and you realise to be true after having heard these things from a number of different people. So, let’s just start with a very quick overview of what Cantonese is exactly for anybody who doesn’t know. In the way I am looking at it Cantonese is this. Cantonese is to Mandarin, what Cockney is to English, and tell them what’s up. Cantonese is to Mandarin is what Cockney is to English. There is no perfect metaphor, but that is pretty good I think. Cantonese is a highly developed, unique language that is considered to be a spoken language, and to all intents and purposes, Cantonese exists spoken, as a spoken language, it is not written down. Now you can write Cantonese down, and people do, in certain situations quite often, but generally speaking, that is not considered mainstream. When Cantonese speakers write stuff down, they will write things down in standard Chinese, because standard Chinese is considered to be father language if you like, it is the literary language, what articulate, educate person would write stuff down in. It is exactly the same as Arabic dialects, where you have got, say I remember when I learned Egyptian Arabic, but the strange dynamic where people speak the Egyptian Arabic dialect, when they write it down it is in standard Arabic, almost a different language but related. So this represents certain challenges to anyone learning Cantonese, but, luckily for Chris, he is going to side-step a lot of those challenges. So what does this mean for a Mandarin speaker who wants to learn Cantonese, what? For you Chris, at the risk of massively over simplifying the issue, your main task here as you are – you have HSK level 5 which is pretty damn good. For anybody that doesn’t know, at that level you are reading newspapers, you are understanding movies, you are pretty damn good in the language. So your main task is going to be to learn a large amount of Cantonese specific vocabulary, and with that comes the pronunciation and the extra tones. You have got six tones in Mandarin, in Cantonese, some people say nine. For practical purposes it is more like six, and so what you, the main thing you have got to do is to learn a lot of vocabulary in Cantonese, and you already know that vocabulary mostly, because it doesn’t differ massively from Mandarin. Now, there is obviously a lot more to it, it is not a case of simply learning the Cantonese pronunciation for the Mandarin that you already know, it’s not that simple. There are different grammar structures, you have got sentence particles, for example, which are the hallmark of Cantonese, something that makes it very, very distinctive. But here’s the thing, the – and I am talking to you Chris as an experienced language learner, the two languages, Mandarin and Cantonese, are close enough, they are closely related enough that the knowledge you have already got for Mandarin will transfer very, very well. So despite the differences in the language and there will be people out there probably screaming at me now saying, “No huge differences between Cantonese and Mandarin”. Yes there are, but the – much the same as learning Spanish and Portuguese or Italian and Spanish, there are so many similarities and the family, the language family, and the basic structure or foundation of the languages are so similar that a lot is going to transfer, and you are going to get a lot for free, basically. So the thing that you won’t get when you first start something in Cantonese, the thing that will totally throw you, is the different vocabulary, you won’t understand anything because it is different. So that is why I say, if you focus your energies on actually learning Cantonese vocabulary, then everything else will follow quite easily without you having to go out of your way to study it in depth, the same way that I had to do as a non-Mandarin English speaker. So in a nutshell, what I am saying is by basically studying Cantonese vocabulary, all the other stuff you have to learn will come quite naturally to you. You won’t have a great deal of new linguistic concepts to learn because the two languages are very closely related. It is mostly a question of getting used to the specific way that Cantonese speakers express themselves, colloquialisms, you could call it. And because Cantonese is a spoken language, it is a lot of the task here, is about colloquialisms, it is amazing Cantonese, it just varies and chops and changes so much, people invent new slang all the time, even local people who have lived abroad for a few years can’t keep up. So it is an incredibly dynamic language, and very difficult for foreigners to learn. The main point here is that learning Cantonese for you, is not the same as a foreigner learning it without a background in Mandarin, so you are in a good place. So practical considerations for you; because you are going to get so much of the language for free, due to your existing knowledge of Mandarin, what I would suggest you do is start by doing a lot of listening and let time do a lot of the work. So, in terms of materials, you need to look for resources where the audio comes with the written Cantonese as well. Now written Cantonese is not the same as written Mandarin, but there is again so many similarities, that given your existing knowledge, you are going to be able to start associating characters you already know with a new sound. You are going to see a character you know, you are going to hear this different Cantonese pronunciation, and at first it is going to be weird, but you can approach this with the mindset of okay, I am just going to spend a few months listening and listening and listening, and reading at the same time, making these associations. What is going to happen is as soon as you get over the initial hump of, the initial shock of the difference, you will very quickly adjust to it, and it will very quickly become normal to you, and I think you will like it as well. For me, Cantonese as a language, sounds more appealing shall we say, aesthetically, than Mandarin. That is a personal thing, I prefer the sound of Cantonese to Mandarin, so I think coming from China, I think you will probably like the sound of it, you will probably get quite hooked on the humour of Cantonese, and the way it sounds. So would do that, I would take your experience and I would spend a few months simply working through dialogues in text books, and just applying your brain to the task, absorbing yourself in it, noticing it, as much as possible. And then what that means is, you don’t have to make any major lifestyle changes or anything at the beginning. You don’t have to go out of your way and go crazy with the stuff, because of the proximity, time will do a lot of the work for you. Now that is the beginning bit. What is going to come later for you is the same challenge that all other learners of Cantonese face, the same, exactly the same challenge that I am facing, and why I even spent a couple of months in Hong Kong, because what you have got to do is, you have got to arrange your life in such a way that allows you to speak Cantonese regularly. Because it is that spoken language, because it depends so much on interaction between people and it is interpersonal dynamic, and even more than other languages I think, means that if you are serious about learning Cantonese, and you are serious about being a good speaker of the language, you need to arrange your life in a way that allows you to speak Cantonese regularly. But depending on where you live and your circumstances that might be quite easy for you, but the sit down study if you like, the listening and the reading, is only going to get you so far. It is going to get you to a point where you might even be able to understand Cantonese quite well, but the things is, in such an inflective language, there is so much to express in the way that you speak, and your voice, and the particles, and these things that you really need, you will need to go through a period of months of probably even years just practicing speaking the language with people, so that you can get comfortable with it. In episode 153, I listed a bunch of tips for how to, different ways to get that practice, especially if you are living abroad, and you should definitely go back and check out episode 153, because that really, I really enjoyed making that episode, because I think it confronts a lot of the challenges that I have had about living abroad and getting enough suitable exposure and language practice, so definitely go back and check that out. I think, given your experience Chris, you probably know what to do, but I think it is important to make that point, that to get to the level that you want to get to, lifestyle changes will be required in order to get that exposure. Now in terms of specific materials, I have always been told by people that know far more than me about this, that the best Cantonese materials are actually in Mandarin. There are very few materials for Cantonese for native English speakers. Usually there are some for beginners as the complete Cantonese courses, Cantonese class 101. None of them are very good, but they are okay, I guess, but if I were you, given your knowledge, I would go out and look for Cantonese materials in Mandarin, for Mandarin speakers, because here is the thing, when you are using an English book, the English book for English speakers has to explain every single Chinese-type concept for the benefit of the clueless foreigner, but that is not you. You are more advanced, you know the Chinese language, so for you to study using a book written for Chinese speakers, you are going to be able to sidestep 99% of all the waffle explaining different concepts and things like that. It is going to be a much more direct way of learning. Now I don’t know whether your Chinese is good enough to actually study using a Chinese textbook, but if you can, then I would definitely consider doing that, because it is going to save you a lot of time, and it will probably be very good Chinese practice at the same time. I don’t have any recommendations for you I am afraid, because I have never used them myself, but if you simply go to a good bookshop where you are, you will find stuff. Find something that is packed full of dialogues, where you have got the written Cantonese with the audio, and you will quickly spend half an hour looking at different books, you will quickly find something that is suitable. But above all, remember to have fun, because Cantonese is the most fun language that I have ever taken on, it is ready damn hard, but it is a lot of fun, so enjoy the process, and come and spend some more time in Hong Kong, you will love every minute of it. So thanks for your question Chris, I hope that was useful, and if you would like to ask me a question then please do. I love having questions, you can go to www.Iwillteachyoualanguage.com/Ask to record your question. Now the end of every episode I leave a resource of some kind on the topic of the show, and I thought that today I would include a video that I recorded in Cantonese a couple of years ago. It is a little bit about how I learned Cantonese over the course of one year. Not to fluency, I hasten to add, I still don’t consider myself fluent in Cantonese, I am very much not actually, but never-the-less I got quite far in a year to the point where I could speak it, and I recorded a video in Cantonese all about that, so I’ll put that in the show notes. You can find that by going to www.Iwillteachyoualanguage.com/Episode163 and, of course, on those show notes you will also find the complete transcript. Thank you very much for listening, and I will see you in the next episode of podcasts.